“I find strength in the pursuit of unanswered questions that ensued her daughter’s death”, Indira said teary eyed. Indira found herself thrown into being the one to bring the bread home, when Lankesh quit at the university. Her education did not take her very far, and she had three children, herself, and her husband to be taken care of. Indira recounts being skeptical of becoming an entrepreneur, but had no choice. She did not want her children to go through what she underwent and believed that her children must be independent. Her husband was supportive, yet never obvious about it. As she narrated through excerpts from her book, it illustrates how her life took a full turn from an immature 17-year-old married off to an intellectual man, assume responsibility that she never expected, to the point where she had to face his death that jolted her. Dr. Vijaya on the other hand, found herself being abused on the streets by her husband, in full public glare. A taxi driver dropped her home, and she says that the particular incident changed her. The will to help someone live is what drives her on. Dr. Vijaya recalled a life that was only a battle which left her with scars. Scars that made their way into her autobiography. A part of which she says she found courage for, but the other, a difficult path to tread. Autobiographies, writing, or reading them would mean reliving the episodes and the pain. 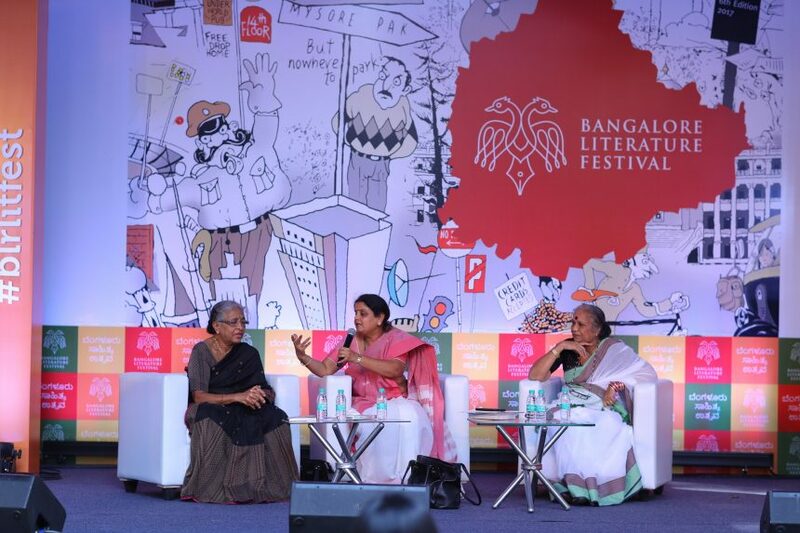 Dr. Vijaya had no courage to do that at a point but soon was reassured to go on when readers considered her stories to be comforting. The two women were resilience personified – examples of pushing against the tide and stand tall unflinching, with thorns all around.